Ten human probiotic strains, especially formulated for women, including L. crispatus. * 25 billion CFUs per delayed-release vegetarian capsule. Non-dairy, gluten-free, and stable at room temperature - no refrigeration required. 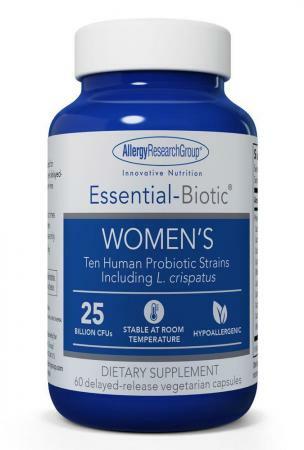 This formula utilizes only non-GMO probiotic strains, which are neither derived from nor produced using genetically modified organisms (GMOs), or their derivatives. Other ingredients: Hydroxypropyl methylcellulose, water, gellan gum, microcrystalline cellulose, silica. DDS® and all UA-trademarks are trademarks of UAS Laboratories LLC and used under license. 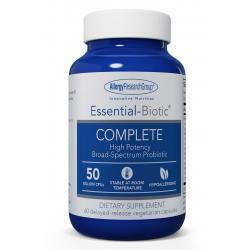 Suggested Use: As a dietary supplement, 1 capsule one or two times daily, or as directed by a healthcare practitioner. May be taken with or without food. For oral use only.